Are you ready for cupids bow and arrow to do its job? Well come around to tireless Miki to play our nuts and bolts game! 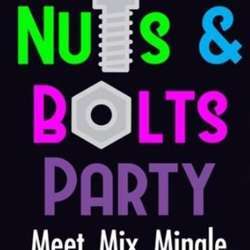 Lots of prizes once again and lots of great fun as we dance the night away trying to find our perfect half… Which nut will fit which bolt?